Shlomo Peter Neuman is Regents professor of Hydrology and Water Resources at the University of Arizona in Tucson, and he is clearly one of the scientists who changed the face of hydrogeology during the 20th century. Starting with his early work on well hydraulics, he has been continuously exploring new challenges and developed theoretical and numerical tools that provided practical answers to a broad range of problems including aquifer characterization, inverse modeling, fractured media, stochastic method, or multiscale analysis. His influence on the profession can be directly measured today by the high number of his former students or collaborators who are now leading some of the most active hydrogeological research groups in the world. Shlomo Neuman is interviewed by Jesus Carrera and Alberto Guadagnini about his life and early carrier. 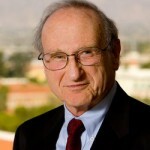 The interview covers essentially the years 1938 to 1974: from his birth in Czechoslovakia and infancy during World War II to his first years of research in Israel after having obtained his PhD in Berkeley. Shlomo Neuman is interviewed by J. Carrera and A. Guadagnini about his life and work after establishing his research group in Tucson, Arizona. This period covers a very broad range of research topics such as his work on geostatistics, inverse methods, fractured media or multi-scale theory. Shlomo P. Neuman is interviewed by Daniel Tartakovsky about various aspects of stochastic hydrogeology including the contributions of Shlomo Neuman to this field, its potential application to practical problems and the future of this field of research.